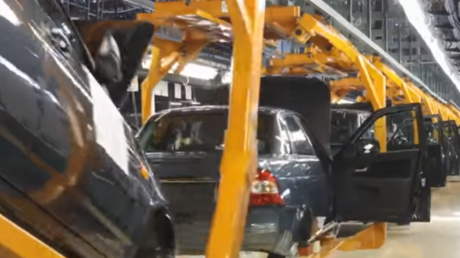 Russiagaters will be horrified to learn the inspirational ‘movie trailer’ about North Korea’s bright future which Donald Trump screened for Kim Jong-un features a Russian auto assembly line. Perhaps a coded message for Putin? ← See John Cena Win Nikki Bella Back by Finally Agreeing to Give Her a Child: "I Can't Have You Out of My Life…Ever"